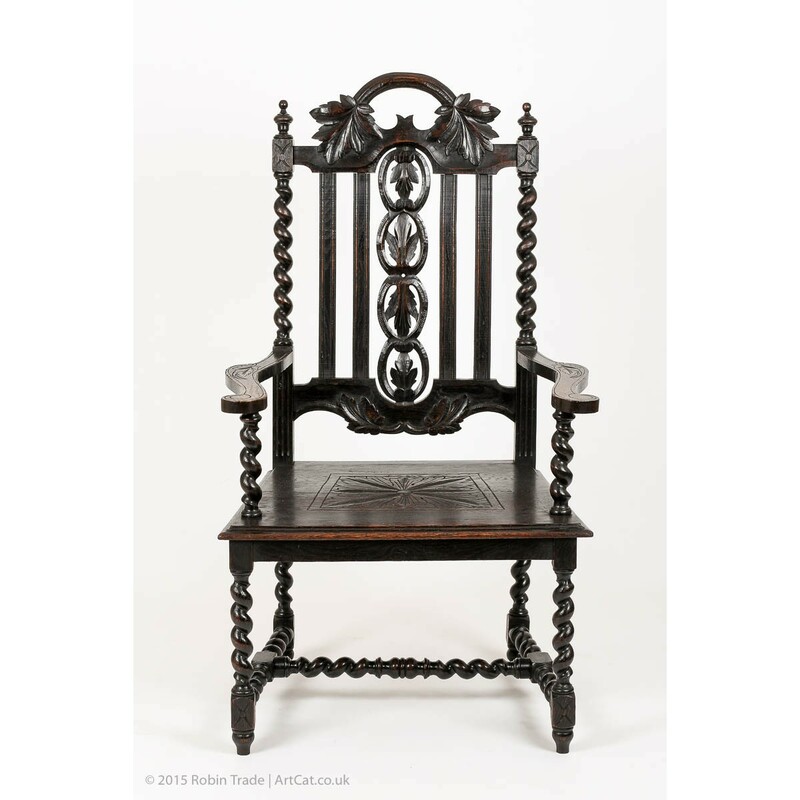 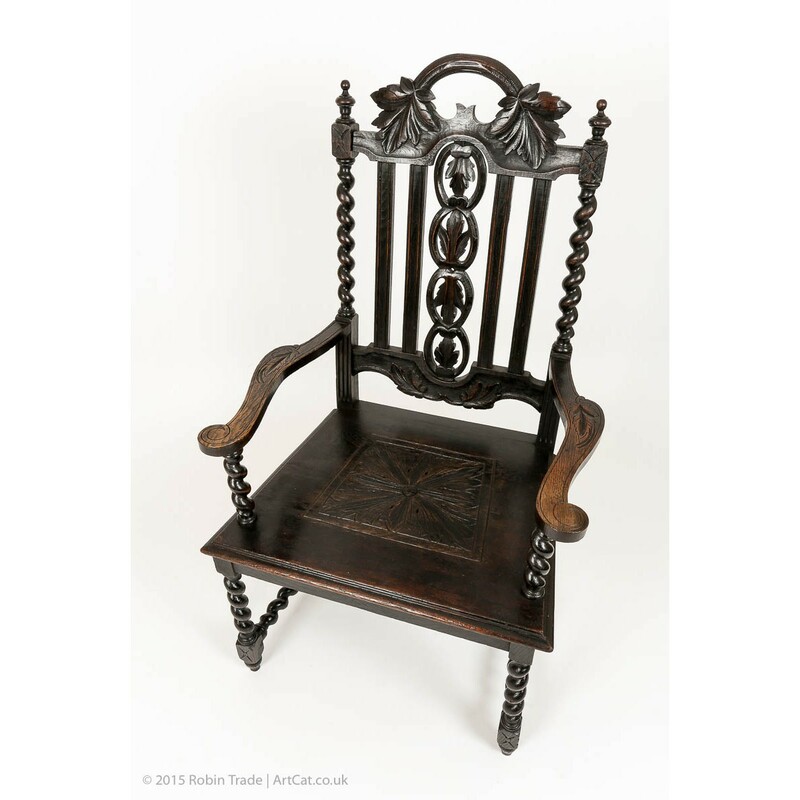 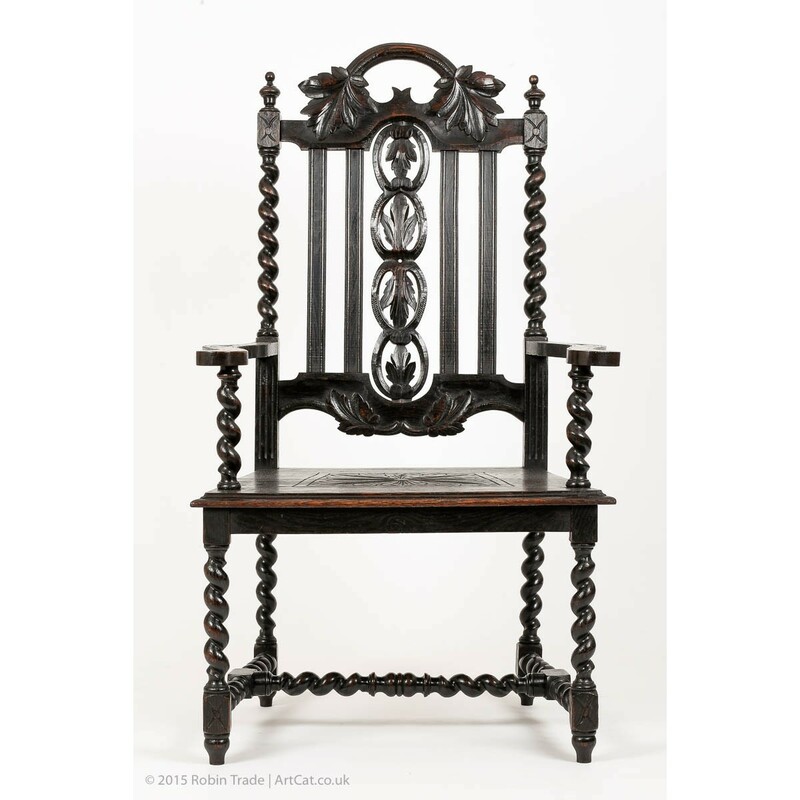 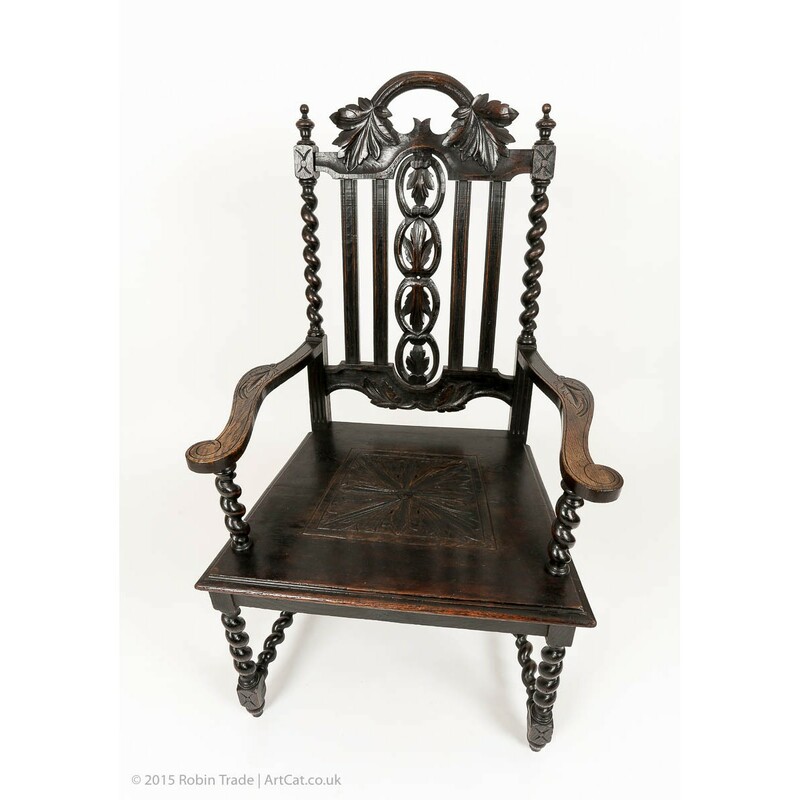 Antique Victorian Oak Throne Chair (Gothic Style, 1850-1890), beautiful carved back (vine leaves) with barley twist side supports and carved seat. 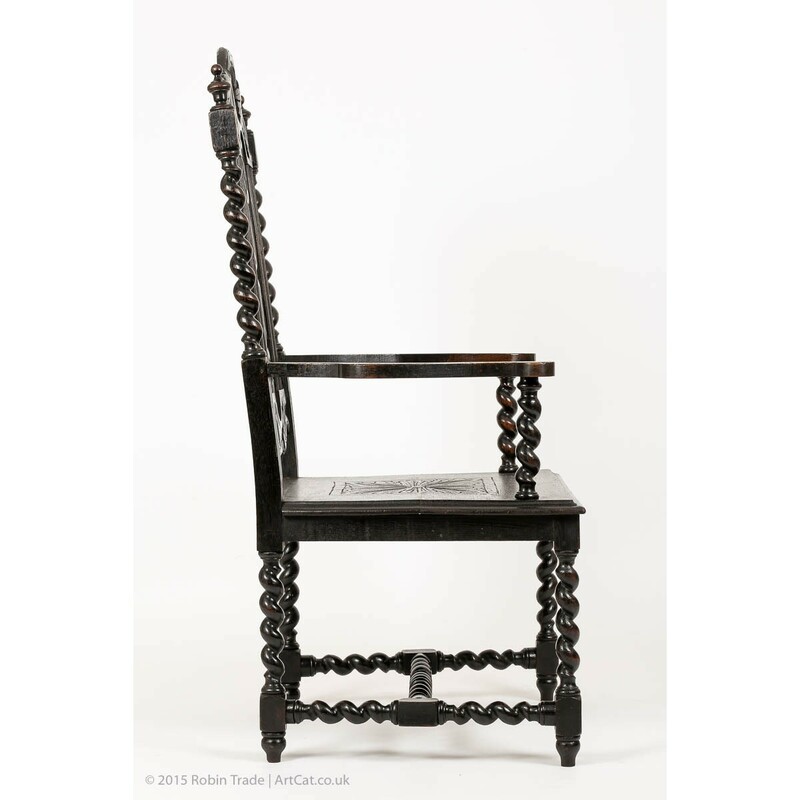 The legs and stretchers are also barley twist. 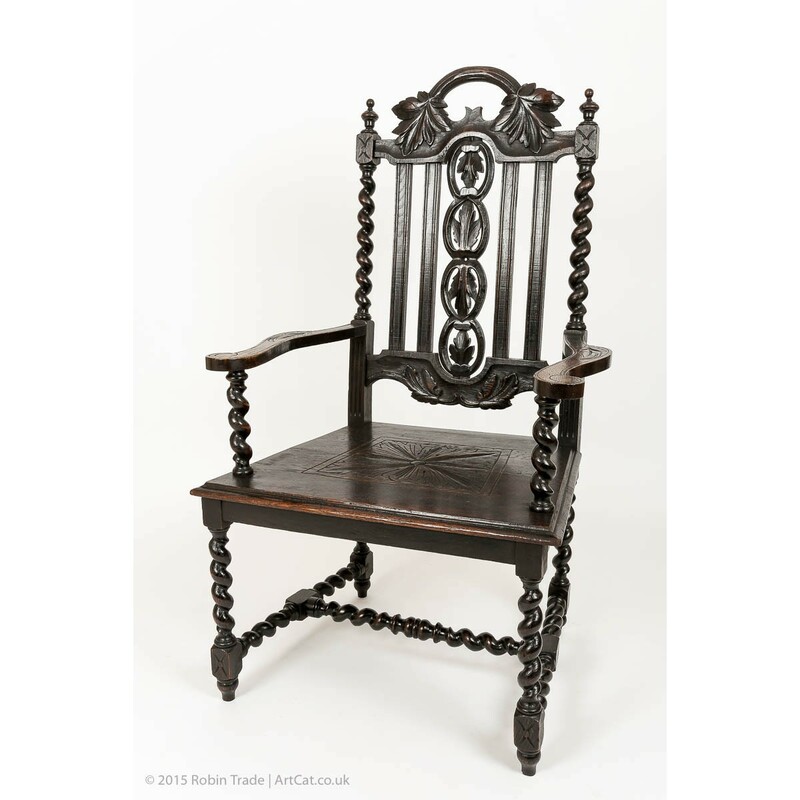 The armchair/carver chair is restored and then given several coats of wax for long lasting surface.